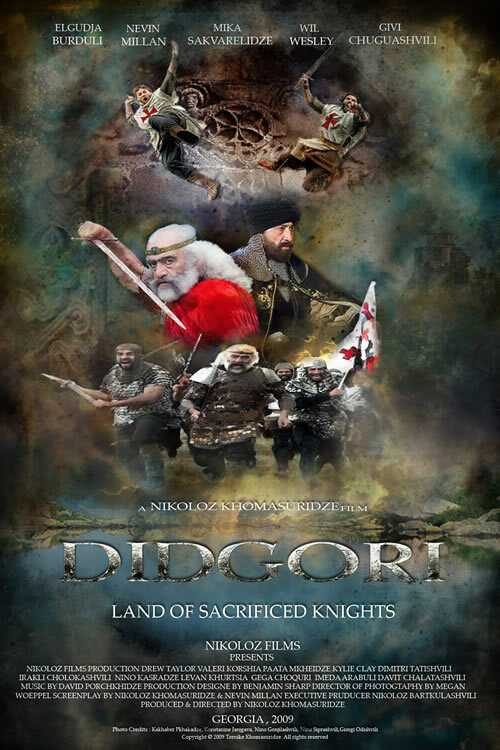 1121 AD: In the midst of the Crusades, an epic battle took place on the Didgori battlefield in the Kingdom of Georgia whose outcome would determine the fate of Jerusalem and all of Christianity. King David IV of Georgia (Burduli), known as ‘The Builder’, ‘The King of Kings’, and ‘The Sword of the Messiah’, led 56,000 Georgian warriors and members of the Knights Templar in battle against all odds to defend their homeland and faith from the overwhelming invading enemy forces consisting of 500,000 Seljuk Turks and the Arabian Coalition. The details of this battle are transcribed by Sir Walter Gauthier (Wesley) in his manuscript ‘Bella Antiochena’, as told by the founders of the Knights Templar, Hugo de Payens (Millan) and Godfrey de St. Omer (Sakvarelidze).